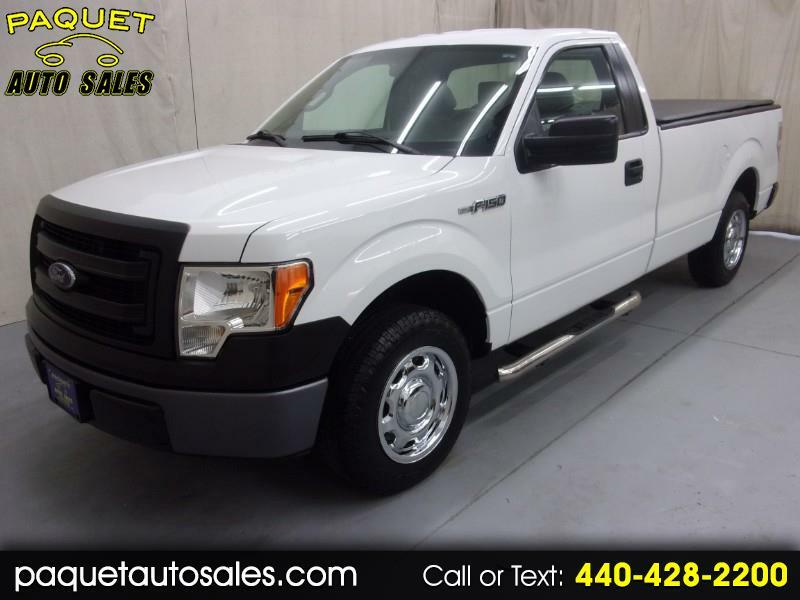 ONE OWNER---TWO WHEEL DRIVE---CLEAN CARFAX REPORT---LONGBED WITH SPRAY-IN BEDLINER AND TONNEAU COVER---LIKE NEW TIRES---FLEX-FUEL 3.7 LITER--- 2013 FORD F150 SL 2-door regular cab in a bright white exterior finish with 17" steel wheels with chrome wheel covers, black grill and bed rail covers, gray bumpers, black door handles and folding exterior mirrors, tow/haul mode and chrome tube-style running boards. A clean truck both outside and inside where you will find a gray vinyl interior featuring air conditioning, split seats with adjustable headrests, vinyl floor, folding center armrest, tachometer, center sliding beverage holder, manual windows, door locks and exterior mirrors, passenger vanity mirror, digital mileage and vehicle information display, Pioneer CD player with aux. input and USB input. Fully inspected by our service technician. Detailed inside and out and ready for delivery. Stop in or call today and speak with one of our friendly sales staff with any questions that you may have.